Vegas has evolved from being solely a tourist destination and is emerging as one of the next, best world-class cities. Downtown Las Vegas (DTLV) maintains a rich, unique history that over time has been overshadowed by life on the Strip. But while tourists are hitting the slot machines and shows, Las Vegas residents are busy going about their normal day-to-day lives: shuttling kids to soccer practice; waiting in line at the DMV; hitting up the grocery store on the way home from work; or taking in a movie and dinner at a local restaurant. The urban epicenter of DTLV has continued to thrive as the chosen place for where residents want to live, work, and play. Projections show a resident increase in Clark County could exceed 300,000 by 2035, making the total population 3.3 million people. 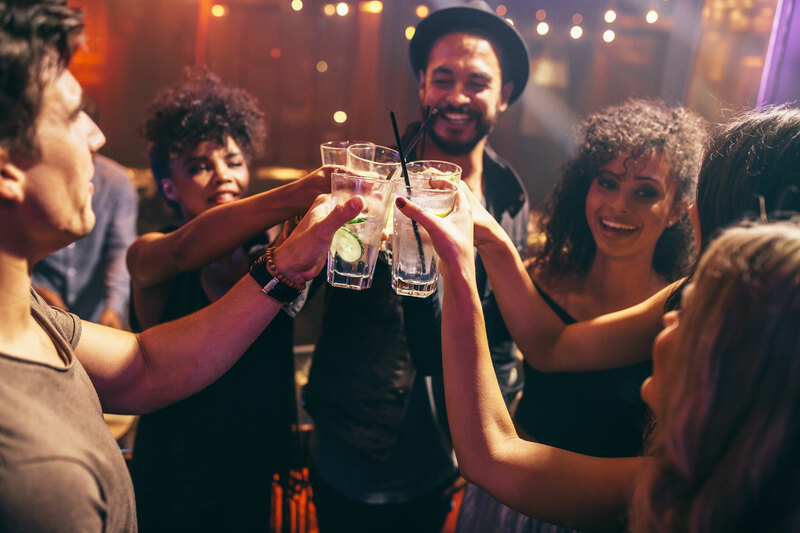 Yes, Vegas has been billed as the Entertainment Capital of the World, but to a growing number, it is simply known as “home.” What’s the reason people have been steadily migrating to Sin City? Affordable Housing: It is virtually impossible to find a residence anywhere in a metropolitan city across the U.S. for under $200,000 – unless you’re considering a home that qualifies as a major “fixer-upper.” In DTLV, and at Juhl in particular, homes are available for as little as $180,000. This means the sough-after downtown lifestyle is within reach for a variety of buyers. And, since much of the housing built in the area is relatively new, homes are built with efficiency in mind – saving more money when compared to older homes across the nation. Forbes magazine named Las Vegas to its 2017 list of cities to invest in housing. Homes in Las Vegas average $255k, compared to $788k in Brooklyn, $570k in Los Angeles, $400k in Denver, and $638k in Seattle. This lower cost of living in addition to no state income tax makes living in Las Vegas all the more alluring. Entertainment: We’d never downplay a Vegas classic like Wayne Newton, but beyond the lights of The Strip are Broadway-caliber theatrical productions, comedy shows featuring headliners from around the world, and even massive industry conventions like SEMA and the HD Expo. The Smith Center, located in downtown’s Symphony Park, is a wonderful place to start with a spectrum of performances scheduled all year long. The much sought after Broadway show, Hamilton, makes a tour stop during the 2017/2018 season, in addition to 8 other award-winning performances. Plus, the Center is also home to the Las Vegas Philharmonic, the Nevada Ballet Theatre, and Cabaret Jazz. Additionally, the 18b Las Vegas Arts District is abuzz with art galleries, local boutiques, bars, and restaurants. The 18-block location is the heart of the city’s First Fridays, which draws nearly 30,000 visitors every month. Weather: Everyone knows that it can get hot in the summertime in Las Vegas, so plan on cranking that A/C about four months out of the year. But like any other place, the summer is just one season – and spring and fall are glorious times in the desert. The desirable climate is ideal for people from all walks of life. With nearly 300 days of sunshine a year, residents can get out and explore Red Rock Canyon, venture out to Lake Mead, stroll down the streets of downtown and enjoy a meal on the patio during almost any month of the year. Education: In 2016, the UNLV School of Medicine received preliminary accreditation from the Liaison Committee on Medical Education (LCME) and will welcome its first class of students on July 1, 2017. Classes will be held in downtown’s Las Vegas Medical District, just a few blocks away from the Arts District, as students await their future home in expanded 10-acre campus dedicated specifically for its School of Medicine. 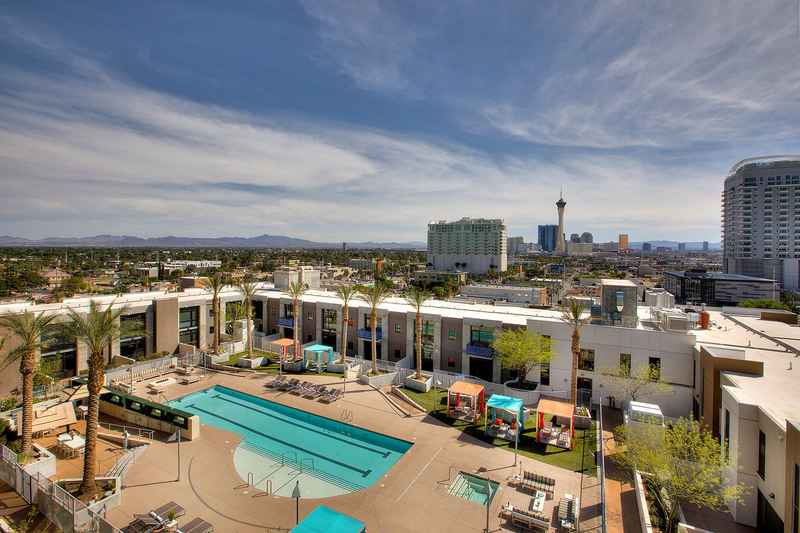 Downtown Las Vegas provides access to affordable housing, insanely creative dining venues, staycation opportunities, the ultimate in entertainment, diverse cultural and artistic experiences, and weather that is simply perfect 90% of the time. As part of the thriving urban lifestyle, you’ll witness firsthand the continued expansion and allure of what it feels like to call Las Vegas home. Sin City may be one of the top five cities for tourism in the U.S., but upcoming attractions, an affordable cost of living, and exciting growth is part of what has made downtown emerge into such a viable living option. The City of Las Vegas has outlined its downtown vision by outlining five focus areas: increase of parks and open spaces; promotion of local shops and business; increase in housing choices; improvement in transit options; and improvement in social services. 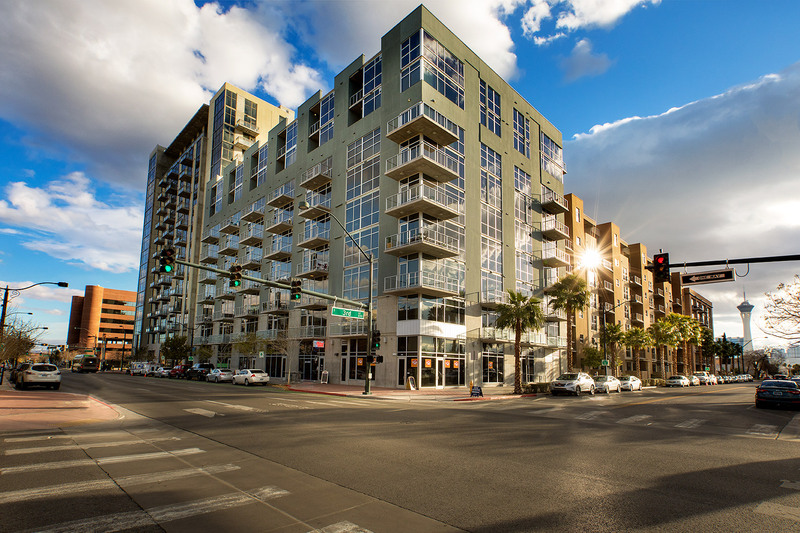 Whether you are looking for a change of pace in a new city or are returning home after having moved away, it’s an exciting time to take up residency in DTLV.